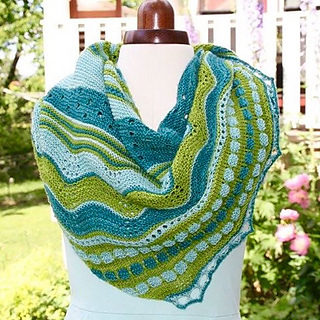 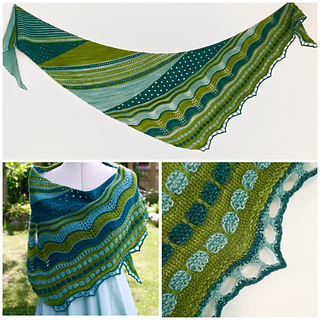 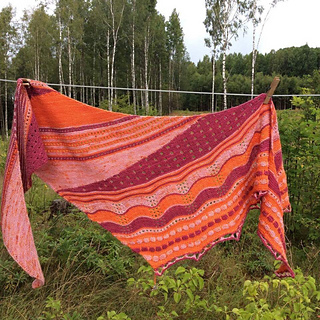 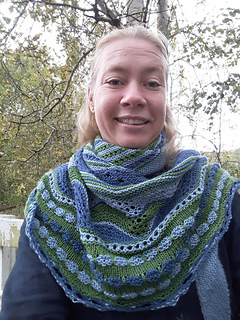 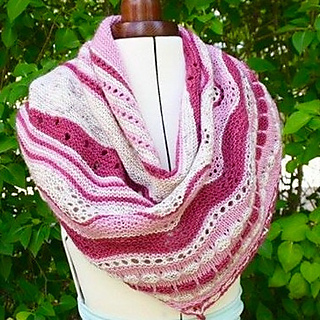 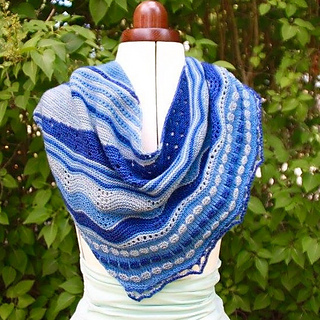 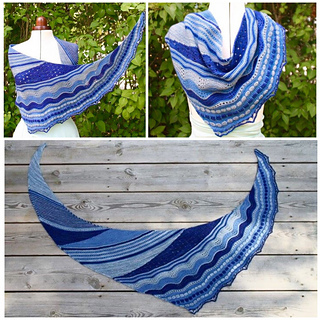 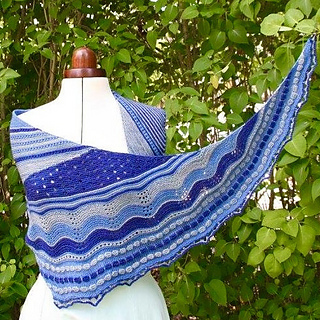 The pattern for this fun shawl is available in swedish and english. 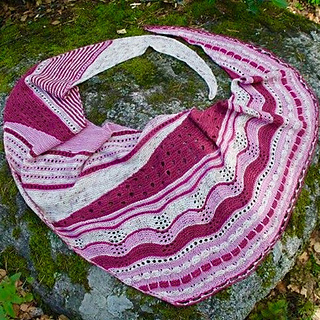 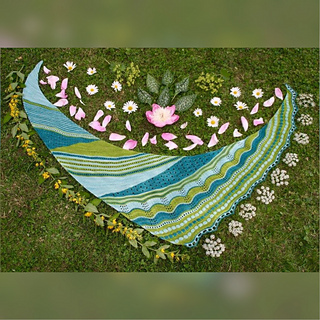 The shawl is worked flat and starts at the top left corner and is knit downwards to the right edge that runs from the bottom to the upper right corner. 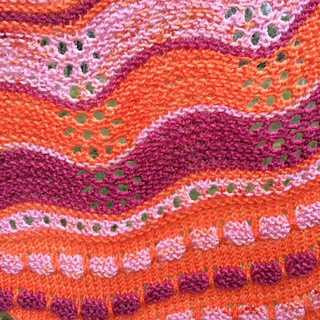 The left edge is 148 cm and the right edge is 101 cm all in blocked and relaxed state with a gauge of 21 sts/10 cm. 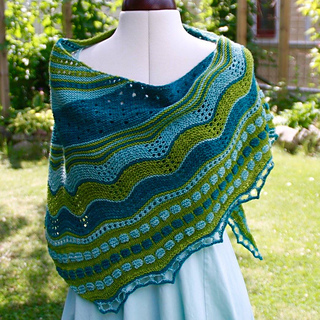 The gauge is not critical if the size is`nt very important. 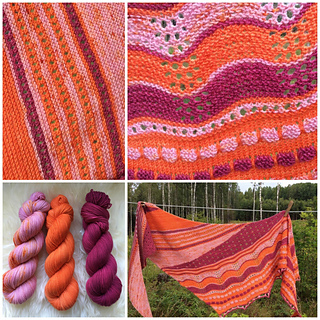 You will need approx 65-70 g of each Color. 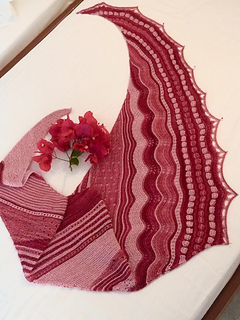 Cdd- central double decrease- slip 2 sts tog kw, k1, pass slipped sts over.